More than 100 employers will be talking to prospective employees at OCCC’s annual job fair to be held on campus Oct. 6, said Judy McGee, Employment Services coordinator. They will be looking for full and part-time workers, she said. McGee said among the companies attending will be Sears, Integris hospitals, Midwest City Hospital, UPS, and Hobby Lobby. OCCC will have a booth at the job fair as well, McGee said. “We try to have something for everybody,” she said. “We have many different types of employers seeking employees. McGee said last year there were 3,000 to 4,000 job seekers in attendance. “The number of people who attended was definitely a reflection of the economy,” she said. The job fair is held twice a year, the first Wednesday in March and the first Wednesday in October, she said. This is a chance for people to meet potential employers and to collect important information about several companies all in one area. McGee said she encourages job seekers to come dressed professionally and to bring résumés. Students who don’t expect to complete their degrees for several months, or even years, can benefit from talking to prospective employers, she said. 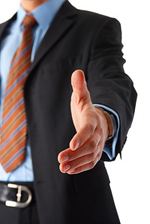 Make sure you introduce yourself to as many employers as possible. Make sure to collect business cards as well, McGee said. McGee said that even if you are not looking for a job now, these resources could come in handy sooner than you think. “Many employers tell the potential employees that when they graduate school to come and apply at their business,” she said. “This is an excellent opportunity to ask employers information on what they are looking for. “They may also give a student information on what type of college courses they may need to complete in order to be considered for a position with their company,” McGee said. McGee said OCCC will also be giving away a brand new flat bed 19” HD television at the fair but people have to be at the job fair to register to win.